Although acupuncture is most commonly associated with pain relief, it can be used to treat a wide range of illnesses, whilst also relieving many of the symptoms resulting from degenerative diseases. Many people also use acupuncture for maintenance of general health and well-being. Acupuncture is one of the most widely accepted forms of complementary medicine, its ancient theories and methods continually being revised and extended in the light of new research. More and more GPs and others within the NHS are recognising acupuncture as something that could benefit their patients. 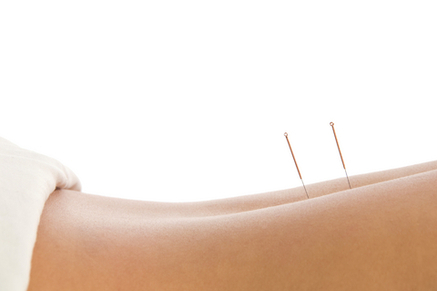 Read the typical treatment section to learn what you can expect from an Acupuncture treatment. Please click here for details about pregnancy acupuncture. "Koren’s approach is thoughtful and considered. The result is life changing and now acupuncture with Koren is my first port of call to treat my health and well being needs, and not my GP..."
An initial acupuncture consultation and treatment costs £45. All subsequent acupuncture treatments cost £40. If you require further information or wish to make a booking please contact Koren on 07709 167 562.